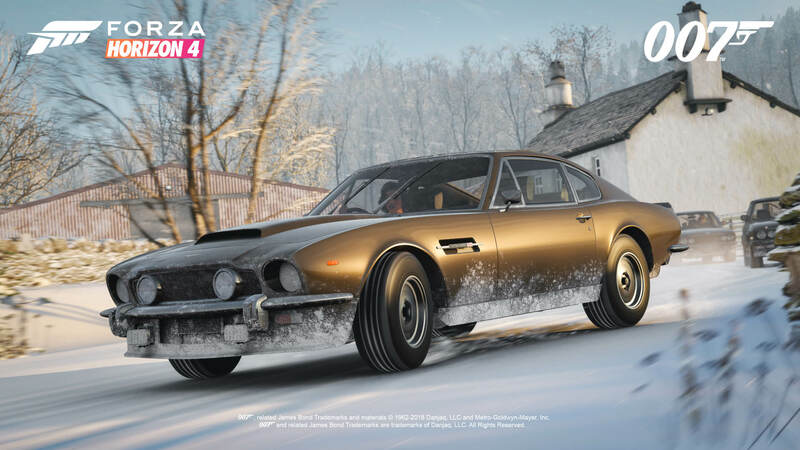 Ahead of its global launch for Ultimate Edition owners next week, Forza Horizon 4 will take over the Goodwood Estate – the spiritual home of British car culture. 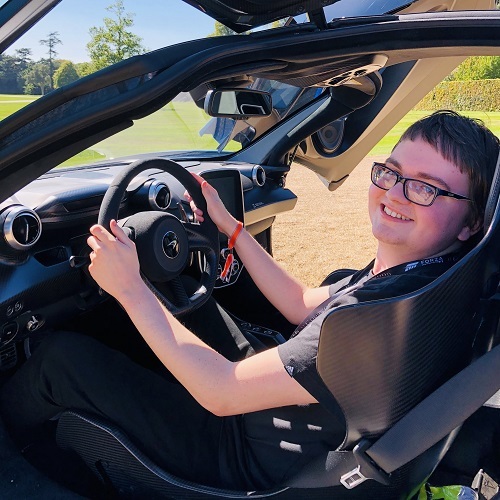 This event will see some of the best drivers in the world bringing the action-packed fun and beauty of Forza Horizon 4 to life through a variety of bespoke showcase events, complimented by a live episode of Inside Xbox broadcasted from the grounds of the historic and prestigious Goodwood House located in the British countryside. This special episode will thrust the spotlight onto Forza Horizon 4 to celebrate the upcoming launch of the game, featuring “exclusive news and interviews.” Other games will also be showcased on this special edition of Inside Xbox too, and the list of these will be revealed closer to the show date, according to Microsoft. However, Inside Xbox isn’t the only thing on the agenda for Forza Horizon 4’s takeover of the Goodwood Estate, as from next Tuesday, you can tune into an exclusive Forza Horizon 4 pre-show featuring gameplay streams with developers from Playground Games and the UK’s very own Xbox On, as well some “big surprises” along the way. Hit the road in Forza Horizon 4 with our special Seasons Change Everything recap show, live from Goodwood in the UK! We’re taking a trip through beautiful, historic Britain and reliving highlights from the four seasons streams with the developers at Playground Games. In addition, we’re showing off brand new content, including a first look at the cars of the Best of Bond Car Pack! Xbox On is your home for everything Xbox. Join Benny, Leah, Sam and Charleyy as they bring you all the latest and greatest news, games and updates live from the Forza Horizon 4 Goodwood event. Join us as we pit four familiar faces against each other in a race to complete a variety of challenges to become the champion of the Goodwood Horizon Superstar Tournament. Inside Xbox will be reporting live from Britain, the home of Forza Horizon 4, at the renowned Goodwood Estate. Tune-in for breaking news for Forza Horizon 4, including a real-world Showcase race you won’t want to miss, plus upcoming updates to Xbox and much more! Join us for a Goodwood exclusive Xbox Live Sessions as our special guests play Forza Horizon 4 and answer fan questions. 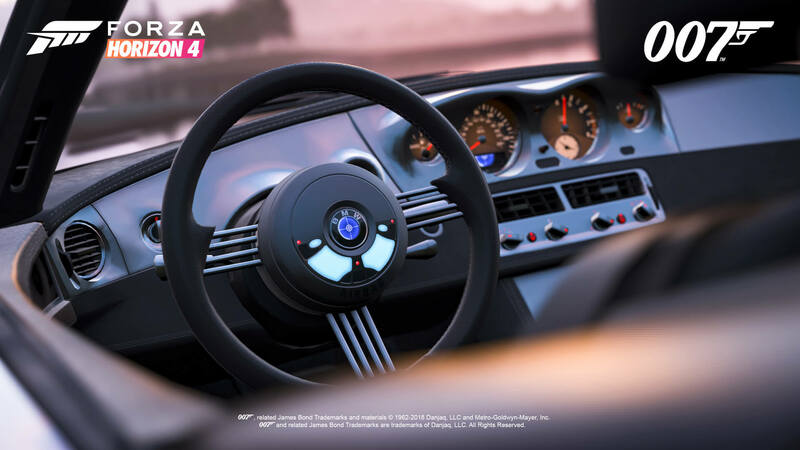 Remember, you can enjoy all this and more broadcasted live from the grounds of Goodwood House over on Mixer and Twitch from 7pm BST (11am Pacific, 2pm Eastern) in celebration of the upcoming launch of Forza Horizon 4. Those who’ve pre-ordered the Ultimate Edition will be able to play four days early from September 28th ahead of the global launch date on October 2nd, but a free demo is available to download from the Microsoft Store. You can also now pre-load the full game onto your Xbox One or Windows 10 PC ahead of its release. 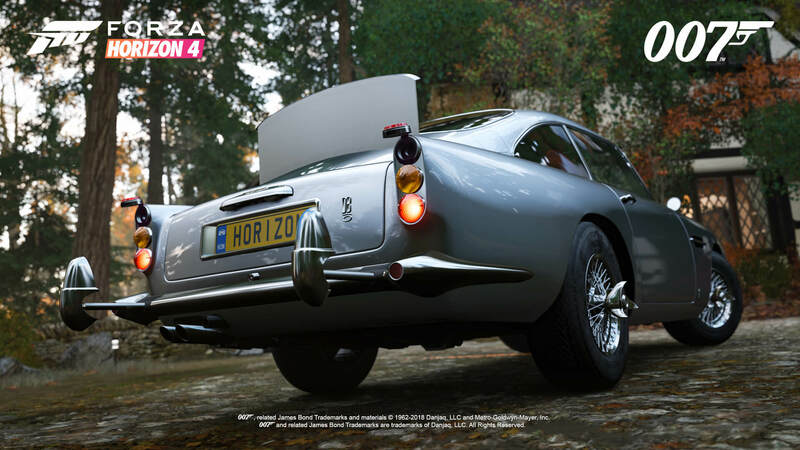 In addition to the Goodwood announcement, Microsoft also shared the official trailer for the ‘Best of Bond’ Day One Car Pack for Forza Horizon 4, which you can check out above. This one features ten legendary cars from the iconic collection of James Bond films, including the classic 1964 Aston Martin DB5 and the more recent 2010 Jaguar C-X75. There’s even the ‘Wet Nellie,’ a 1977 Lotus Esprit S1 transformed into a custom-built submarine, which appeared in ‘The Spy Who Loved Me.’ These cars also come fitted with the gadgets that make them so memorable from the films, and they’re showcased in all their glory throughout the trailer. You’ll also be able to view them up-close using the Forzavista mode. 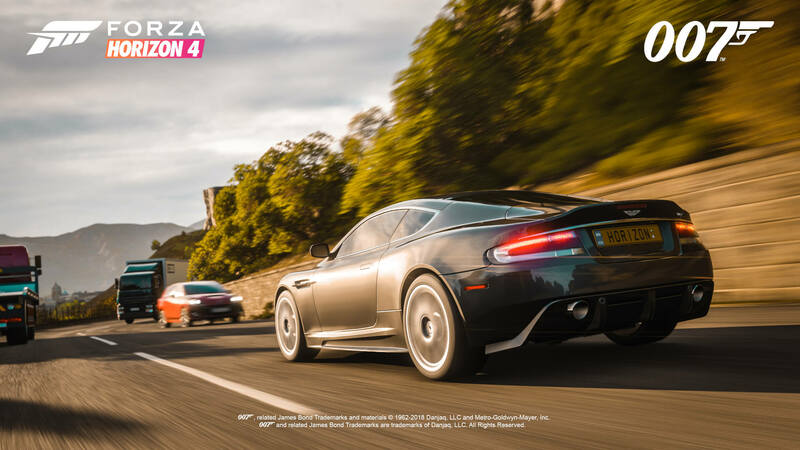 For everything you need to know on Forza Horizon 4, be sure to check out our in-depth preview story, which dives deep into the world of beautiful, historic Britain and everything it has to offer. 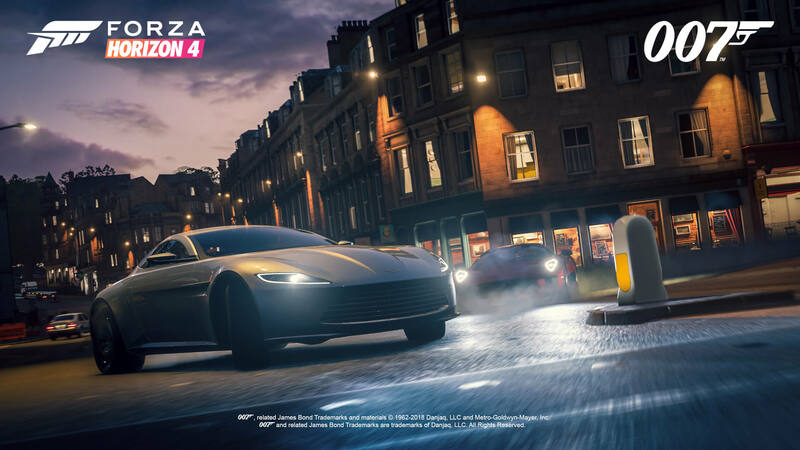 We also have a technical analysis of the game on Xbox One X hardware, as well as an interview with Playground Games Creative Director Ralph Fulton, during which we speak about those ever-changing Dynamic Seasons, the Horizon Life experience, and how Edinburgh was inspired by a classic race track from Project Gotham Racing 2.